We would like to introduce our team to you! We are known internationally as one of the premier taxidermy- studios and taxidermy-shops. Driven by his passion for nature and taxidermy Erwin van Zoelen founded de Museumwinkel.com in 2010 to bring everyone a little closer to nature. He’s been cleaning and articulating skulls and skeletons since he was young and from there he started specializing in the art of taxidermy. As a certified taxidermist Erwin focuses on the stuffing of large mammals and birds like rheas, cranes, ostriches, deer and African trophies, but occasionally also smaller animals. Additionally Erwin has specialized over the years in restoring antique specimen, giving them back their shine. 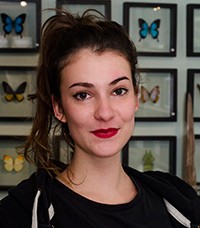 Sophie Kiela was formerly a bio technician, but now puts her heart into the art of taxidermy. She’s been in the craft since 2005, with Erwin van Zoelen showing her the ropes. She belongs among the taxidermy top in the Netherlands. 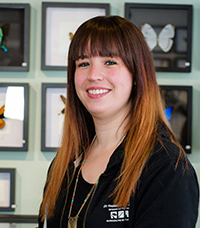 Sophie mostly focusses on the taxidermy of birds, but also specializes in the preparation of small to fox-sized mammals and insects. On November 7th 2015 she won the Dutch championships of taxidermy, with her mounted bird (Major Michell’s cockatoo) even being deemed “Best of Show”. Together with our taxidermists Rick Way and Wesley Kevenaar, Sopie Kiela received a special award for Most Artistic Entry with their stunning collective taxidermy piece, featuring 2 magpies and a wolverine, on the European Taxidermy Championships in 2018. 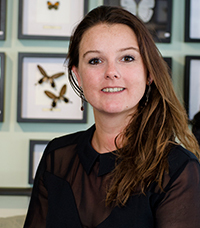 Nicolette Naphausen takes care of the management of de Museumwinkel.com and, together with Erwin van Zoelen, supervises the processes in the company. In addition to her main responsibilities in running the company and setting overall product strategy, she remains actively involved in the sales, design, and product teams within the organization. 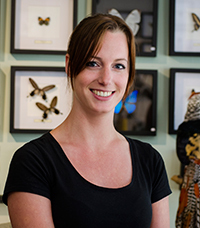 Nicolette is driving the company’s vision of Taxidermy with talent faster than ever. 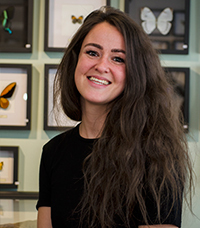 She holds a Master of Arts from the University of Nijmegen and she has a keen eye for quality, design and taxidermy. With her knowledge and enthusiasm about nature she can offer extensive advice. She is an enthusiastic collector of modern and Victorian taxidermy . Rick Way specializes in the taxidermy of small and medium-sized birds. He’s been awarded twice with the title of Dutch Champion Taxidermy, clearly showing the precision and accuracy he puts in his work. Together with our taxidermists Wesley Kevenaar and Sopie Kiela, Rick Way received a special award for Most Artistic Entry with their stunning collective taxidermy piece, featuring 2 magpies and a wolverine, on the European Taxidermy Championships in 2018. Rick does taxidermy the way it was meant to be done. He has a great deal of reference and hands on experience both in the field and in the studio. Each animal is treated with a lot of respect. That is why he does a lot of work for collectors and museums. 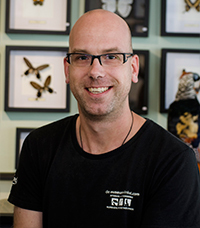 Wesley Kevenaar’s expertise lies in the taxidermy of large mammals, although he is equally talented with smaller mammals and birds, and has been awarded with an honorable mention and several other prizes at the Dutch Taxidermy Championships. Wesley is always ready for a challenge, making stunning pieces that almost seem to bring the animal back to life. Each piece is made in consultation with our clients in order to portray their trophy in a realistic and natural form. Together with our taxidermists Sophie Kiela and Rick Way, Wesley Kevenaar received a special award for Most Artistic Entry with their stunning collective taxidermy piece, featuring 2 magpies and a wolverine, on the European Taxidermy Championships in 2018. Willem Leenders assists our taxidermists in our workshop, making sure that the to-be-mounted animals are well prepared for his colleagues. He is also specializing in the art of Taxidermy. 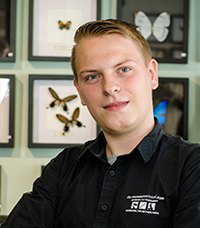 He received an honorable mention at the Dutch Taxidermy Championships of 2017 and aims to become a professional taxidermist. He has great interest in birds of prey and loves flying with his Harris's hawk, which helped him get a good critical eye in bird anatomy. 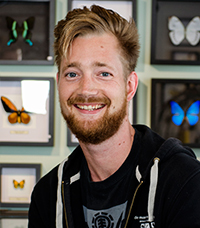 In addition to helping our taxidermists, Willem is responsible for the assembly of our domes with mounted butterflies displays, turning them into colourful pieces of art. Sarah Reynders is a young artist and our Belgian addition to the team. She won the Wanatoe prize in 2016, in addition to the Design Limburg and C-mine student award during her studies of jewelry design. Sarah is also learning to preserve insects and butterflies with great precision. Lara Lem offers us great support at the office. Because of the many educations she followed, combined with years of experience in accountancy and automation, she organizes the administration and the personnel department of our store in a structured and well-organized way. Thanks to her broad knowledge of sales and administration and her view on interior design, she can always provide you with good advice. Lara is always full of anthousiasm and always willing to help you with everything! Emma van Grinsven is very passionate about the animal world. With her knowledge of fauna, she can give everyone who comes into the store a suitable advice. 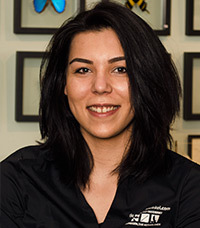 Emma is a real organizer: she knows the ins and outs of the store and ensures that our service is always top quality. Thanks to her the departments in our shop are communicatively well connected. Together with Lindy and Kayleigh, Emma helps the clients in the store and takes care of the web shop and interior. Lindy Palm completed her HBO study in June 2017. She keeps a close eye on processes in the store and can be of good service with questions and the handling of your purchases. She currently assists us with the web shop and its photography. In addition, Lindy helps with the processing of the orders and the service towards you. With her structured mind she can help you with every question. Together with Kayleigh and Emma, Lindy helps the clients in the store and takes care of the webshop and interior. Kayleigh Kleinjan supports us in the store and butterfly department and assists us with the processing of the web shop orders. 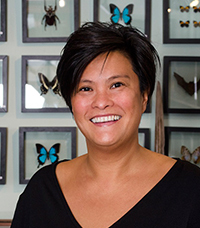 She also has a keen eye for interiors and is resposible for the interior design of our shop. When you are in need of advise for your interior, she is more than willing to help. Together with Emma and Lindy, Kayleigh helps the clients in the store and takes care of the webshop . 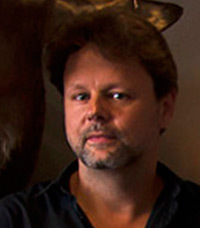 Patrick Vos is responsible for the department of butterflies and insects. When you order a butterfly on the web shop or at our store, Patrick frames it for you with great precision. 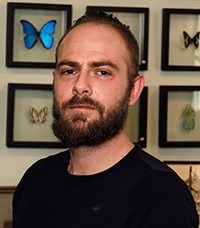 Patrick also is very experienced at preserving insects and butterflies, making sure that we can offer the best quality in our store. He is learning to become a specialized entomologist.